Arthritis comes from the Greek word that means inflammation of the joints. Arthritis is a disorder that occurs in the joints of the body and have up to 100 different types. Arthritis affects the area of ​​the joint that causes joint pain, deformed joints, and decreased joint movement capability. Osteoarthritis (OA) is the most common type of arthritis and usually occurs among the elderly. Rheumatoid arthritis (RA), psoriatic arthritis, and septic arthritis are some other types of arthritis. Potatoes have been used as an arthritis remedy since centuries ago. Take a medium sized potatoes and cut into thin slices. Soak the potato slices in a glass of cold water overnight. Give water to patients in the morning in an empty stomach. 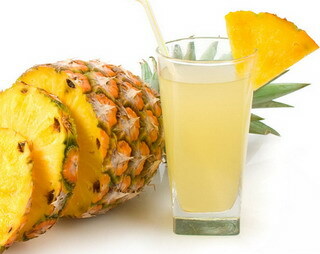 Pineapple juice can also relieve pain in people with arthritis. Enzyme known as bromelain contained in pineapple useful to help reduce inflammation and swelling. Sesame seeds are very effective at reducing the pain of arthritis. Take one teaspoon of sesame seeds and soak overnight in a cup of water. Give this to the patient sesame solution in the morning. Garlic is a natural antiseptic and has many health benefits. Garlic can be eaten raw or cooked along with a variety of foods. This herb has anti-inflammatory properties that help in reducing pain. Garlic is a solvent of uric acid which is one of the causes of arthritis. Alfalfa is one of the herbal remedies for arthritis. A cup of tea drinks alfalfa proved to be a useful herb for arthritis. Take one teaspoon of alfalfa seeds and boil it in a cup of water. Consumption of three or four times a day to relieve arthritis. Ginger is a herb that has many benefits. Ginger ale and ginger compress is the easiest way to cope with the swelling of arthritis. Eating celery raw or cooked is one way to fight arthritis. Celery is rich in minerals and contains over 25 anti-inflammatory compounds. Pigment in turmeric called curcumin has anti-inflammatory effects so effectively to relieve inflammation caused by arthritis.